This Notice of Privacy Practices (the “Notice”) describes the legal obligations of Cary Healthcare Associates, PA (the “Plan”) and your legal rights regarding your protected health information held by the Plan under the Health Insurance Portability and Accountability Act of 1996 (“HIPAA”). This Notice describes how your Protected Health Information (PHI) may be used or disclosed to carry out treatment, payment, or health care operations, or for any other purposes that are permitted or required by law. HIPAA requires us to provide this Notice of Privacy Practices to you. If you have any questions about this Notice or about our privacy practices, please contact Privacy Officer, 919-233-6000. For Payment. We may use or disclose your Protected Health Information to determine your eligibility for Plan benefits, to facilitate payment for the treatment and services you receive from health care providers, to determine benefit responsibility under the Plan, or to coordinate Plan coverage. For example, we may share your PHI with health care provider in connection with the payment of health claims or to another health plan to coordinate benefit payments. As Required by Law. We will disclose your Protected Health Information when required to do so by federal, state or local law. For example, we may disclose your PHI when required by national security laws or public health disclosure laws. To Avert a Serious Threat to Health or Safety. We may use and disclose your Protected Health Information when necessary to prevent a serious threat to your health and safety, or the health and safety of the public or another person. Any disclosure, however, would only be to someone able to help prevent the threat. For example, we may disclose your PHI in a proceeding regarding the licensure of a physician. To Plan Sponsors. We may disclose Protected Health Information to certain employees of the Employer so that they can administer the plan. Those employees will only use or disclose PHI as needed to perform plan administration functions or as otherwise required by HIPAA, unless you have specifically authorized other disclosures. Your PHI cannot be used for employment purposes without your specific authorization. Military and Veterans. If you are a member of the armed forces, we may release your Protected Health Information as required by military command authorities. We may also release PHI about foreign military personnel to the appropriate foreign military authority. Lawsuits and Disputes. If you are involved in a lawsuit or a dispute, we may disclose your Protected Health Information in response to a court or administrative order. We may also disclose your PHI in response to a subpoena, discovery request, or other lawful process by someone else involved in the dispute, but only if efforts have been made to tell you about the request or to obtain an order protecting the information requested. Disclosures to You. If you request, we must disclose to you the portion of your Protected Health Information that contains medical records, billing records, and any other records used to make decisions regarding your health care benefits. If you request, we also must provide you with an accounting of most disclosures of your PHI if the disclosure was for reasons other than for payment, treatment, or health care operations, and if the protected health information was not disclosed due to your specific authorization. Right to Inspect and Copy. You have the right to inspect and copy certain Protected Health Information that may be used to make decisions about your health care benefits. To inspect and copy your PHI, you must submit your request in writing to the Employer Contact listed at the end of this Notice. If you request a copy of the information, we may charge a reasonable fee for the costs of copying, mailing, or other supplies associated with your request. 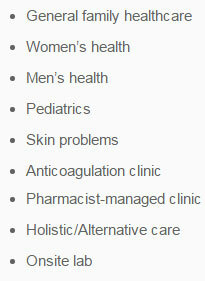 Health Information that we use or disclose for treatment, payment, or health care operations. You also have the right to request a limit on your PHI that we disclose to someone who is involved in your care or the payment for your care, such as a family member or friend. For example, you could ask that we not use or disclose information about a surgery that you had. However, if we do agree to the request, we will honor the restriction until you revoke it or we notify you. We will always comply with a restriction request if PHI pertains solely to a health care item or service for which the health care provider involved has been paid out-of-pocket in full and the use or disclosure is for payment or health care operations. Associate) discover a breach of unsecured protected health information. Right to a Paper Copy of This Notice. You have the right to a paper copy of this notice. You may ask us to give you a copy of this notice at any time. Even if you have agreed to receive this notice electronically, you are still entitled to a paper copy of this notice. You may obtain a copy of this notice at our website,www.caryhealthcareassociates.com. To obtain a paper copy of this notice, contact the Employer Contact listed at the end of this Notice. If you believe that your privacy rights have been violated, you may file a complaint with the Plan or with the Office for Civil Rights of the United States Department of Health and Human Services. To file a complaint with the Plan, contact Privacy Officer, 919-233-6000. All complaints must be submitted in writing. We may change the terms of this Notice and make new provisions regarding your Protected Health Information that we maintain, as allowed or required by law. If we make any significant change to this Notice, we will provide you with a copy of our revised Notice of Privacy Practices by posting to our website with a reminder in our next annual mailing.